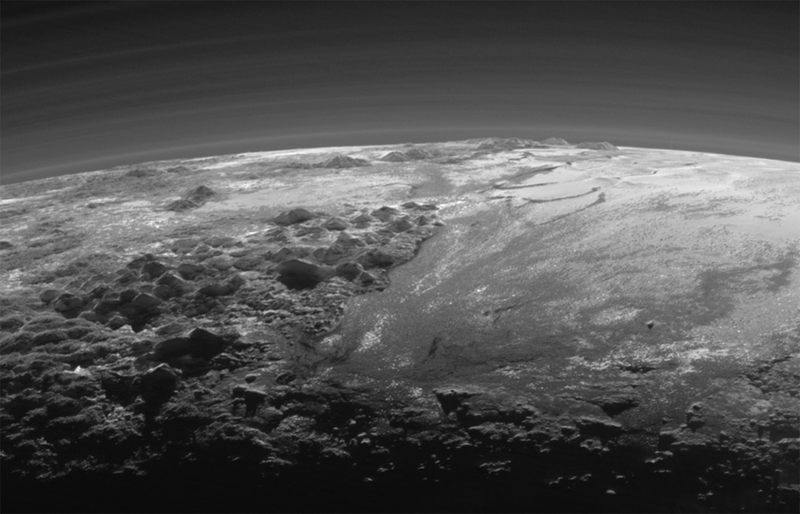 NASA has just released this awesome video of Pluto. Fly over Pluto’s icy mountains and frozen plains in this new video created from images taken by NASA’s New Horizons spacecraft during the historic July 14 Pluto Flyby. The newest images downloaded from NASA's New Horizons spacecraft were pooled together and concentrated on a sphere to make this flyover. This animation, created with the LORRI (Long Range Reconnaissance Imager) images, starts with a low-altitude look at the casually named Norgay Montes, travels northward over the boundary between casually named Sputnik Planum and Cthulhu Regio, turns, and floats slowly east. Throughout the animation, the elevation of the observer upsurges until it is about 10 times higher to show about 80% of the hemisphere New Horizons flew closest to on July 14, 2015.